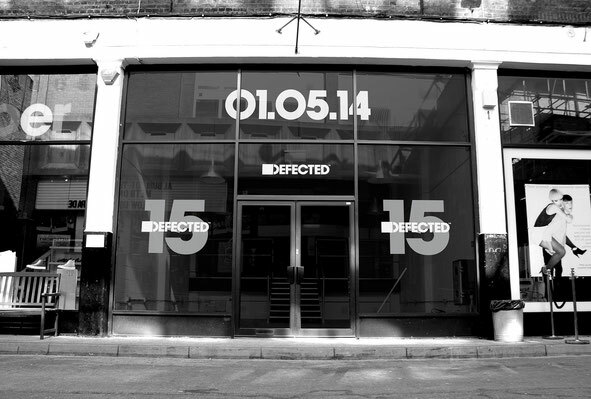 Established in London in 1999, one of our favourite record labels, Defected, celebrates its 15th anniversary this year with a global tour and the opening of its first-ever record store and exhibition space. 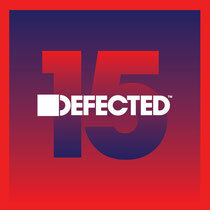 Stage one of Defected’s anniversary is the Defected 15 Club Tour: a series of 15 events that aims to bring the best in house music to Defected fans around the globe. Taking in 15 cities, starting in London, the birthplace of Defected, the tour reaches right around the globe; from Los Angeles to Sydney, Tokyo to Amsterdam by way of Ibiza. London’s Oval Space will host the launch event in collaboration with Mixmag Live on Friday 02 May. The opening weekend of the tour will also embrace the North of England and Ireland with parties at Sankeys Manchester (03 May) and Sin, Dublin (04 May). Other key dates in the tour include a debut show in Los Angeles at Hollywood’s Avalon (17 May) and the opening party of the Ibiza 2014 summer season at BoOom! Ibiza (20 May). The tour then takes on a festival dimension as Defected plays We Are FSTVL in the UK (24 May), before heading out to Belgium and the Netherlands for Extrema and Lakedance, both of which take place 07 June. Further Defected Club Tour events include the first Defected In The House stage at Global Gathering 25 July before the tour culminates with a return to Ministry of Sound 9 August, with all remaining tour dates to be revealed soon. In addition to the tour, on 01 May a pop-up store and exhibition space will open in Shoreditch. ‘Defected Records’ will allow visitors exclusive access to its catalogue of music, past and present. Stocks of limited edition original releases and edits from the label’s archives, in both vinyl and CD formats, will also be unearthed for visitors to buy or simply to sample at various Pioneer listening points. Rare memorabilia will visually chart the label’s evolution through the last 15 years, while some of the best DJs, producers and artists from the global house music scene will be invited to host a series of events, talks and workshops. May also sees the launch of ‘D Store’; Defected’s new online store which will offer a full music download service as well as Defected fashion apparel and accessories. Further details about the anniversary celebrations will be released over the coming weeks.